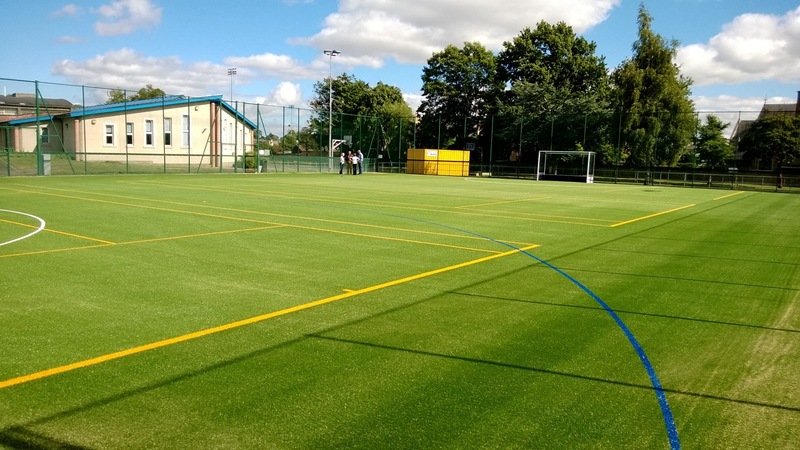 Sports Labs assists Kelso High School to upgrade MUGA The old MUGA - a polymeric surface which was badly in need of refurbishment was rapidly upgraded by Ecosse Sports. Here the polymeric was repaired - an ideal shock pad and a new sand filled carpet ex Tiger turf was installed over the polymeric surface. The school and community use this sports surface extensively as there are few such facilities in the area. A great success indeed.